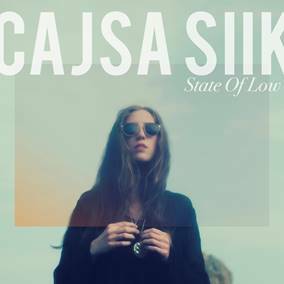 Hot off the back of releasing her latest studio album ‘Contra’ in October last year, Swedish singer-songwriter Cajsa Siik steps into 2015 with the announcement of her new double A side single ‘State Of Low / Change Of Heart’. With ‘Contra’ receiving unanimous acclaim from the likes of Noisey, NME and BBC 6Music, Cajsa Siik has now looked to cement herself as one of the standout voices for the year ahead. While ‘State Of Low’ showcases the effervescent side to her production, ‘Change Of Heart’ aims to challenge her vocally. Together giving a retrospective feel to her sound as a whole. With comparisons to fellow Scandinavian’s Lykke Li and Robyn, Cajsa Siik’s transcendent voice, accompanied by ethereal and harmonious production, has helped her stand out from the so-so vocalists of today, and enabled her to gather a solid fanbase at home and abroad. State of Low will be released 24th March 2015 followed by Change Of Heart on 28th April 2015.